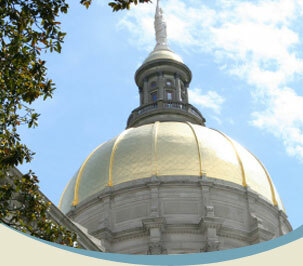 The State of Georgia's Comprehensive Annual Financial Report (CAFR) is an annual publication of the State Accounting Office. No information in the CAFR has been updated for developments subsequent to the date of the independent auditor's report. The entire CAFR is presented in portable document format (PDF). Prior year reports contain dated information and are presented for historical reference only. The CAFR has been created using the bookmark feature within a navigation pane to make quick navigation of the entire document possible. By selecting a bookmark you will be able to view the particular page of the report you desire. If you do not have a copy of Adobe's Acrobat Reader (version 8.0 or higher) currently installed on your computer you will need to download and configure your free copy before you can view the report. This is a one time process which will then permit you to view these and other PDF formatted publications on the World Wide Web. Please follow the installation and browser configuration instructions provided with the Adobe Reader software. The pages of the following reports are viewable only with the Adobe Reader.